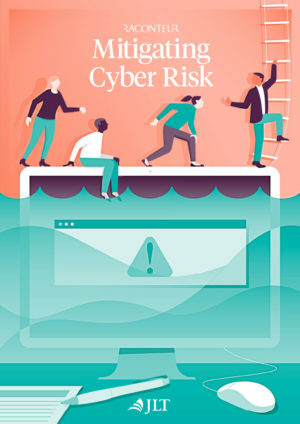 Cyber insurance, once considered complex and unnecessary, has moved to the mainstream. This report explores how the market is evolving and why it is becoming an essential tool for large companies seeking to manage their exposure to digital threats. By downloading this report I consent to Raconteur collecting this data and sharing it with JLT Specialty, the sponsor of this report. Note: Raconteur will not contact you. I would also like to receive the C-Suite Agenda: Business Risk newsletter.